(UM Legislative News Service) The future of the gray wolf in Montana has led to a tug-of-war between conservationists and ranchers over policy proposals in the 2019 legislative session, and both sides have claimed victories. On Thursday, a Senate committee advanced two House bills that would make wolf hunting licenses cheaper. Rep. Bob Brown, a Republican from Thompson Falls, is carrying House Bill 407 and House Bill 280, which would reduce the licence fee from $19 to $12 and add more of a discount for class AAA combination sports licenses. 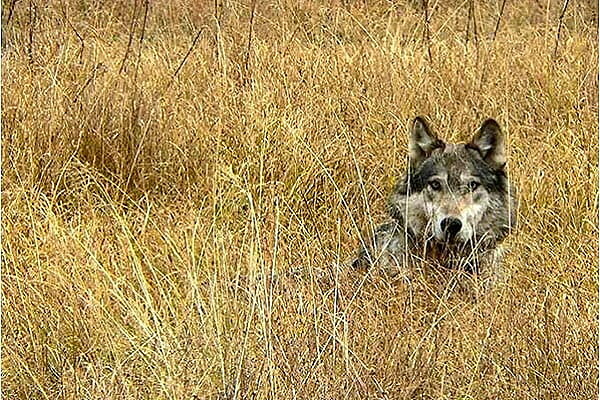 However, Brown has two other wolf-related bills that have been stalled or killed in committee. House Bill 551 would have allowed for wolf hunting at night, and failed to pass the House 56-44. House Bill 279 would have given reimbursements to trappers for fees incurred while trapping wolves, but failed the Senate 23-27, and then was postponed indefinitely. Sen. Jill Cohenour, D-East Helena, said during debate on the bill that it would not do anything to help mitigate wolf populations, but makes trapping a contest. According to Montana Fish, Wildlife and Parks, wolves were eradicated in Montana by 1930. However, populations have steadily revived over the years due to conservation and reintroduction efforts. Debates have been flaring over how to manage those populations.